Figs, native to the Middle East and western Asia, are among the most nutritious fruits, rich in fiber, copper, manganese, magnesium, potassium, calcium, and vitamin K.
In 1923, from the ruins of the dynastic Ottoman Empire Turkey, a modern, democratic, secular and sovereign state emerged under the leadership of Kemal Ataturk. Ataturk, "the father of the Turks", almost 80 years after his death continues to inspire, and divide Turks. 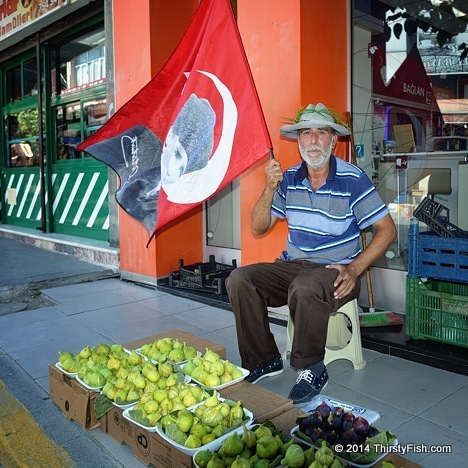 Many Turks fear that the current Turkish President, who is rooted in (moderate?) Islamist politics may turn hardline. In the recent years, flags with Ataturk's portrait have become common, symbolizing a "silent protest" or a reminder of modern Turkey's secular foundations.